The big inspiration for me were both Ube Urban from Ube Icecream shop and The Eye of Kristýna Šišková. Ube makes wonderful kendamas and Kristýna Šišková created custom made kendama resembling an eye. All this made me to do a first series of custom kendamas as well; only time will tell whether it was a good decision or a bad one. I named those kendamas ‘Custom kendamas’. It all seemed like a piece of cake; I thought that I would simply get the stars cut, stick them on white or yellow kendama and spray it all with a colour. Then I realised that white and yellow are not good for me so I decided to choose a gold colour instead. The plan was to make a series of six pieces from which five would be sold and the prototype left for me. The prototype was fairly easy until I sprayed the synthetic varnish on the acrylic colour. This made a half of the stars to fade. Farewell to that kendama. 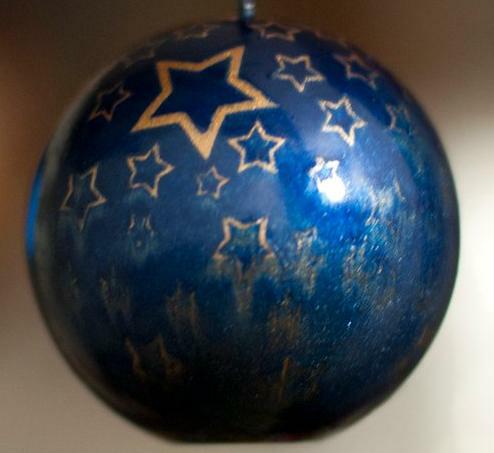 I bought an acrylic varnish which does not react with the paint so the stars remained on the right place. However, I was not completely satisfied because it all looked great from the distance but when I took a closer look, some flaws became apparent. It is nothing big and it makes every kendama special and original but it makes my lust for perfection unsatisfied. I will try something easier next time, not five pieces and three types of paint from the beginning. It is important to point out that this quest was pretty difficult for me so I will give it a rest for a while before I make another series consisting of more than two kendamas. This kendama serie made me to create a new section ‘Custom kendamas’. I still believe that it is a good idea to make every month a unique kendama which cannot be bought anywhere else. The serie of star kendamas was sold on the very first day in stock; two sold to Netherlands, two to USA (one as a support to Kengarden) and one to Canada. 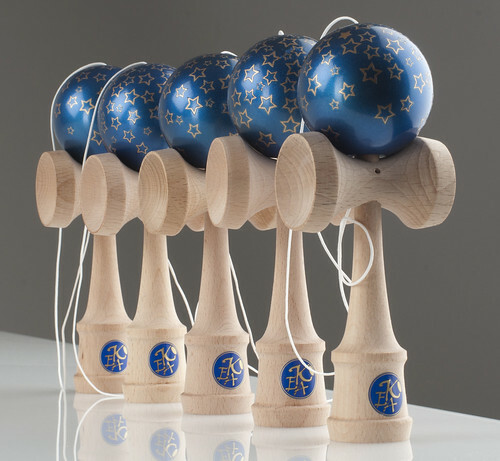 I will send the first kendama to be customized by Kateřina Vojkůvková this week. Kristýna Šišková and Anna Šišková will be next and I intend to make a series of metallic shaded kendamas so there is a lot of to be looked forward to.